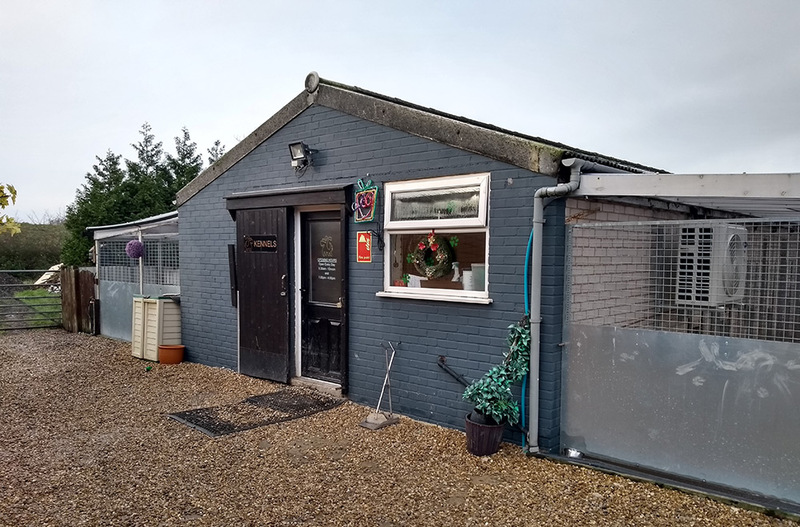 Our main kennel block is a purposed built brick building and contains 30 kennels, some of which can be converted into double kennels all have individual covered external runs. In our 2nd block we have some large double kennels. We have two kennels which allow dogs to eat & sleep separately but play together in their external run. Heating in the winter months is by our recently installed Air to Air heat pump system keeping the kennels at a comfortable temperature. In the summer months the same units produce air-conditioning to keep the kennels cool. We supply both plastic beds and include vet bedding for comfort. We respectfully request that owners do-not bring their own bedding. Food is included and we stock most major brands of wet and dry food. If your dog is on a special diet please feel free to bring it along. Medication can be administered at no extra charge.